oatmeal lace design: chevron stripes everywhere! I just found out that my husband isn't a huge fan of chevron stripes...this he decides to tell me after the bumpers and crib skirt are already made. considering that the fabric was ok'd (by him) before purchase he's just SOL. plus- who do you think really cares more about the patterns in the nursery, me or him? it was funny though when he asked what fabric I chose for the diaper bag and I casually mentioned yellow chevron stripes. his reaction was something like this (at 30 seconds in...) seriously, is that not the funniest video? oh, and sidenote- hello chevron clutch! might need to add one of these beauties to the shop soon! anywho- my friend Randi, over at The Homemade Parade, and I were talking about my plans to make the crib bedding and how frustrating it can be to have a crib skirt that works perfectly at one mattress setting only to have it be too short/long once you have to change it as your child grows. she mentioned a blog, Urban Grace, that she reads where the writer figured out how to eliminate this issue by creating panels that tie to the mattress base. that way you just have to untie the panels and reposition when it's time to lower the mattress so your kid doesn't climb out of the bed. genius, I tell you! I decided to give it a go and it worked fabulously! mine are straight, flat panels which I prefer with the patterned fabric I bought, but this would easily work with ruffled or pleated skirts too. Baby P is so lucky! His bed is awesome! 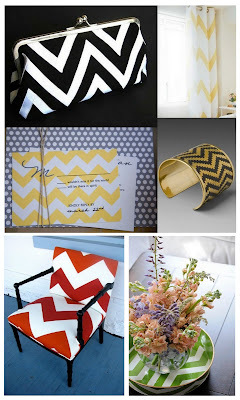 How can your husband not love chevron?? 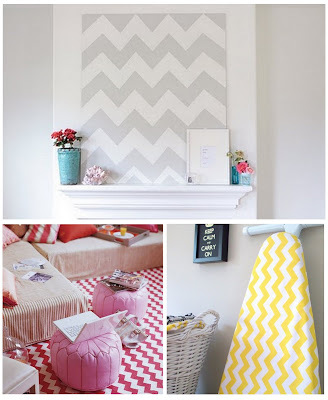 Loving the chevron print these days... I'm sure it will grow on your husband. Hopefully :) The crib looks amazing, btw! McKay, I can't believe you remembered to find the Urban Grace blog and crib bedding post so you could try it. So glad it worked out for you and the bedding looks great. Won't be long before there is a real baby sleeping soundly in there. Best wishes on this new adventure in mommyhood!